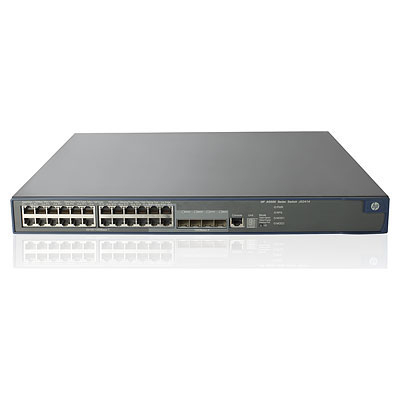 The HP 5500 EI Switch Series delivers resiliency, security, and multiservice support capabilities at the edge layer of large campus and branch networks. The HP 5500 EI delivers flexibility, scalability and low TCO with a robust feature set supporting IRF stacking, Static & RIP Routing, OSPF, BGP, IS-IS, PoE+, ACLs, and IPv6. The HP 5500 EI Switch Series can be managed with the HP Intelligent Management Center (IMC) for a single view of your entire network and includes Lifetime Warranty 2.0.